Early education teachers can gain self-insight and improve their skills by reflecting together on their pedagogical practices, says new research. The study, by Monash University, was led by Dr Gloria Quiñones, an expert in early childhood education and her fellow researchers, Dr. Liang Li and Dr Avis Ridgway. The three researchers gathered video observations of educators’ one-on-one interactions with infants and toddlers and ran collaborative forums for educators to review and improve their pedagogical practices. Participants included six educators who worked in three long day centres, who were paired for dialogue on their practices. According to Dr Quiñones and fellow researchers, video-assisted self-reflection enabled collaborative learning amongst the participants, and video-clips of professional practice were a powerful and engaging method for educators to develop a sense of agency. When thinking collectively, the educators were able to reflect on their emotions and aspirations for the education of infants and toddlers. The deeper reflections achieved in the collaborative forum group were only ever achieved by being with others. These reflections gave all participants a deeper understanding of the relationship between their own motivation, infant pedagogy and their professional practices. Toddler educator Sophie said the importance of critical reflection cannot be understated. “It is what the parents are thinking, what is happening from a day-to-day basis and actually looking at it and going ‘Okay, what could I do in that situation?’ or ‘what could I have done to change the outcome?’” she said. In the forum discussion, participants reflected on one issue in particular: how important it was to be at the child’s level by sitting down or having one-on-one interactions. 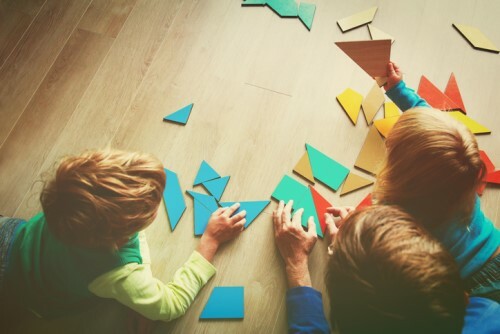 “Early childhood educators spend so much time ‘doing’ – this research demonstrated the importance of reflection in ensuring the growth of these workers professionally,” Dr Quiñones said. Pseudonyms have been used for participants in the study.